I liked the two installers. They were friendly, courteous, and they were able to work around me and my cat. My experience with them was very positive, and I have recently referred them to a friend. I would say the overall experience was great, not just any one thing. They were knowledgeable, reliable, and they did what they said they would do. Their overall knowledge about floor coverings stood out for me. 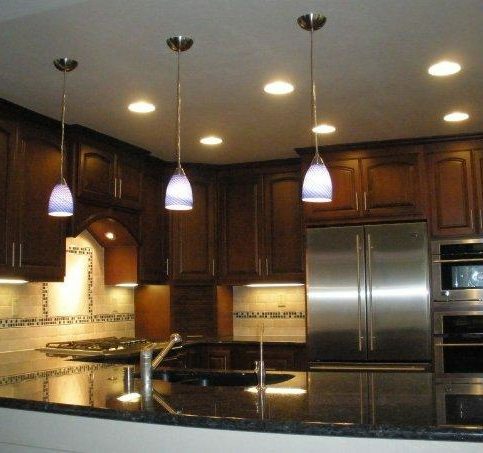 I was very pleased with both the product and the installation. 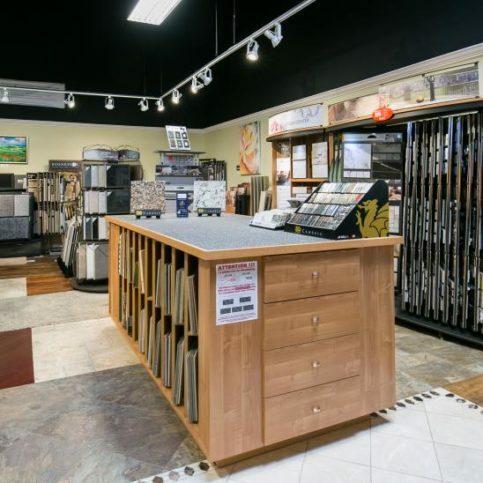 Floor Coverings International provides a wide variety of flooring products. 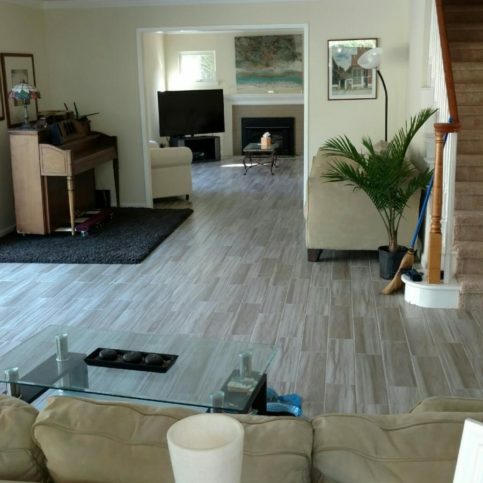 The company carries everything from hardwood, carpet and tile to environmentally-friendly options like bamboo and cork, and it also has the training and equipment to perform flooring installations for residential and commercial clients throughout the Bay Area. 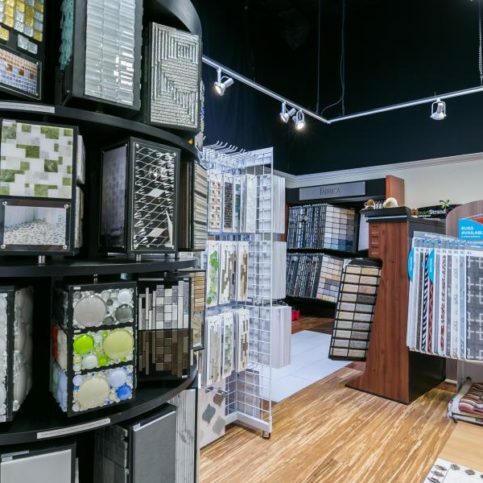 Manager Reggie Keding credits much of Floor Coverings International’s success to its ability to communicate with customers and understand their needs. 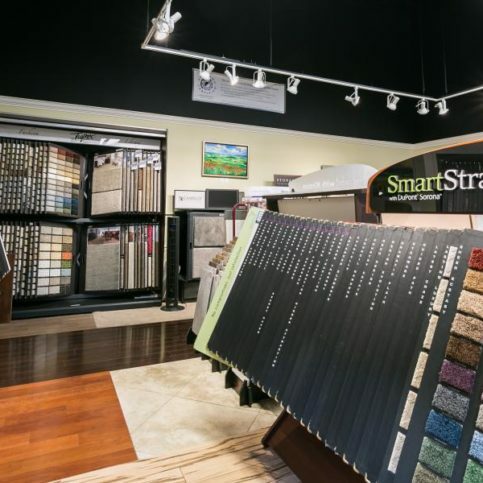 “There are a lot of different flooring products and installation methods available, so we take the time to determine exactly what each client wants so we can recommend the appropriate solution,” he says. Reggie Keding is a 11-year veteran of the flooring industry and owner of Floor Coverings International, a Diamond Certified company. He can be reached at (925) 679-5935 or by email. Outside of work, Reggie spends the bulk of his time in his newly acquired role as a dad. “Life has changed a bit with the recent birth of our son,” he affirms. “It has been a lot of fun—I enjoy playing with him and watching him grow.” When he’s not busy caring for his son, Reggie enjoys taking his wife salsa dancing (“That’s how we met”) and on occasional weekend getaways. A: Actually, I prefer listening to personal development audiobooks and podcasts. A: The city—I like being close to where the action is. 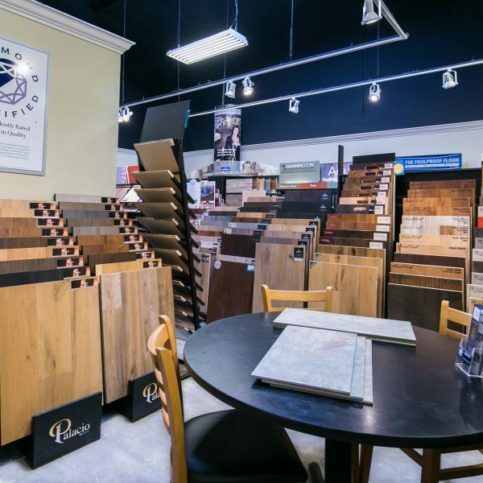 CONCORD — When planning to install new hardwood flooring, you’ll need to decide whether to go with a product that’s sanded and finished on site or one that’s prefinished at the factory. Before making this choice, it’s worthwhile to learn about the pros and cons of each. 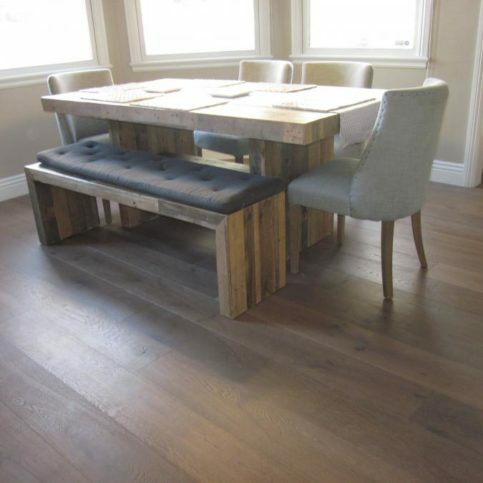 In this scenario, the raw wood floor is installed and finished in place. 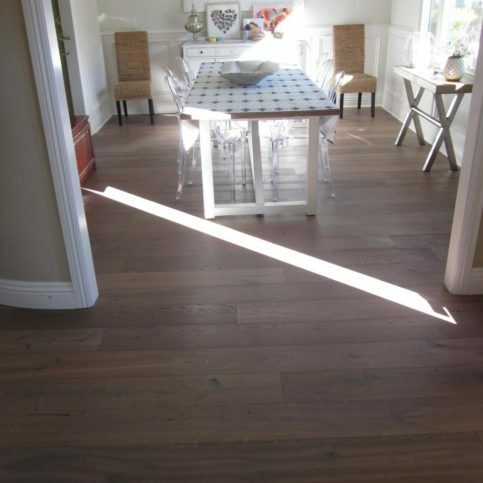 One advantage of site-finished hardwood is it provides a perfectly smooth surface, with no micro bevels (the conspicuous edges between floorboards). Another advantage of finishing on site is you get to pick any color of stain you want. Also, if you want to change the color of the floor in the future, all you have to do is refinish it. 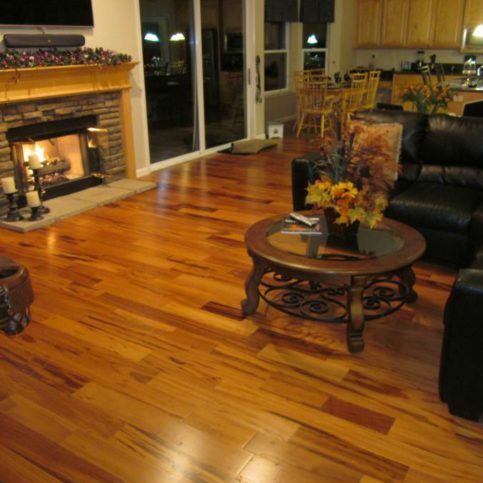 The main disadvantage of site-finished hardwood flooring is its short finish lifespan. A natural wood floor’s polyurethane finish lasts seven to 10 years on average, depending on how much foot traffic the floor sustains, which means it’ll likely need to be refinished within a decade of installation. 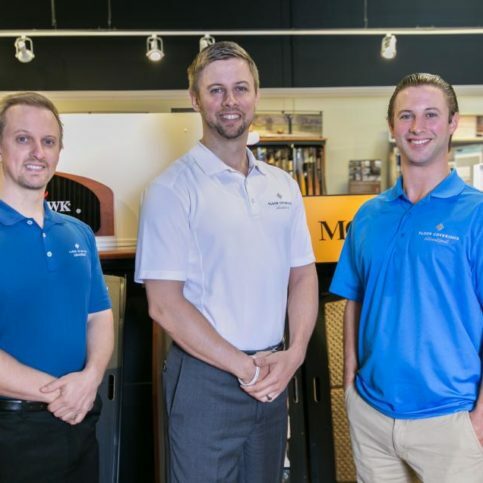 This process isn’t as easy as most homeowners think: it generally takes three to four days to complete and includes moving all furniture on the floor. Due to this need for recurrent refinishing, owning a site-finished hardwood floor comes with a high long-term cost. 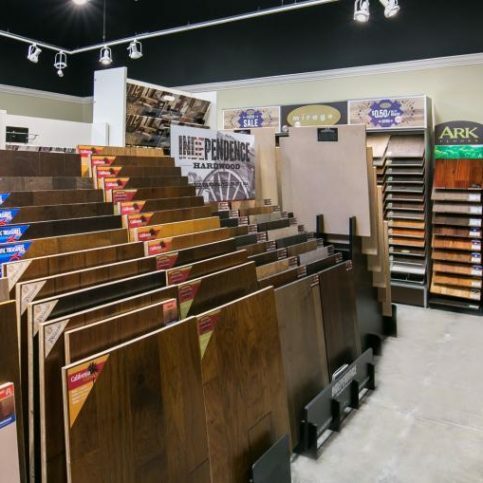 Unlike site-finished hardwood, prefinished hardwood flooring is finished at the factory. One advantage of this method is manufacturers are able to apply a stronger finish in a factory setting than can be done in the home. Today, most manufacturers use aluminum oxide, an extremely hard substance that, while not totally scratch-proof, is far more resilient than polyurethane. Also, prefinished hardwood takes less time to install, and once it’s in place, there’s no need for future refinishing. These two factors combined make prefinished hardwood flooring more financially economical than site-finished hardwood. 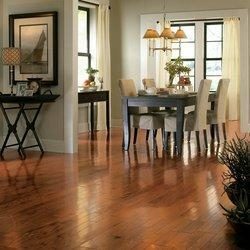 The only real disadvantage of prefinished hardwood is you’re limited in your color and style options, as well as your ability to alter the flooring in the future. 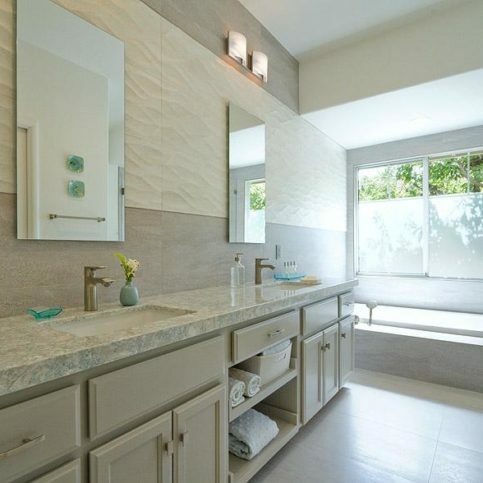 However, if you’re careful to choose a color and style you really like, a prefinished product will give you many years of performance for an affordable price. 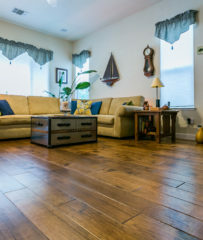 CONCORD — Host, Sarah Rutan: When selecting hardwood flooring, you’ll need to decide between a pre-finished product and one that’s finished after installation. Today we’re in Concord with Diamond Certified Expert Contributor Reggie Keding of Floor Coverings International to learn more. Diamond Certified Expert Contributor, Reggie Keding: Okay. So, today we want to talk about: Do I go with sand and finish in place? Or do I buy prefinished hardwood and have that installed? So, I want to explain the pros and cons of each. Now, we do both. So, I’m not going to give you a biased opinion on either one. I’m just going to explain the pros and cons of why you would go with one versus the other. So, let’s talk about sand and finish in place. So, the first thing you’re going to do is have the raw wood installed. Then it’s going to be puttied and sanded smooth. And so, what you’re going to get on the finished look is a perfectly smooth finish, with no micro bevels that catch it. So, one solid floor. Another advantage is you get to pick any color you want. The third advantage would be if you think you want to change the color later in the future to something else, you can always have that floor sanded down and changed to a new color. Let’s talk about the disadvantages. So, a disadvantage of going with a sand and finish would be the finish on top is polyurethane. So, that lasts about 7 to 10 years on average, depending on the wearability and how much foot traffic the floor’s getting. So, about 7 to 10 years later you’d have to have it sand and finished again, which means all your furniture comes out. We’d start the whole process over. It’s about a 3- to 4-day process. Then your floors will look brand new again. And usually most clients that have that don’t change the color. 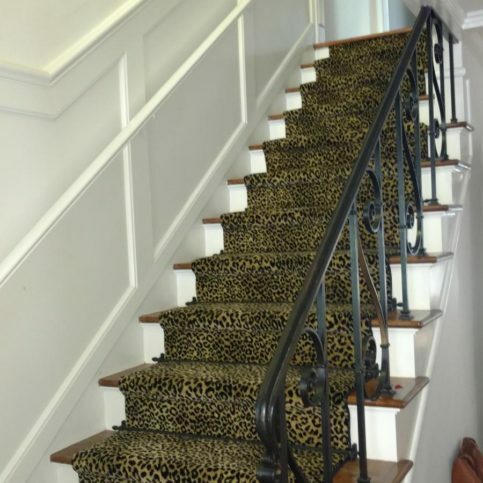 So, the disadvantage, overall, is your long-term cost is going to be higher because you’re creating future maintenance for yourself, as polyurethane finishes only last about 7 to 10 years in the average household. So, now let’s talk about prefinished hardwood. Prefinished means it’s done at the factory. And at the factory they have better opportunities to put a stronger finish on the top. Most of them today are using aluminum oxide. Aluminum oxide is extremely hard. It’s going to be, like, a 9 or 10, where a 10 would be a diamond. So, it’s going to be hard to scratch. It’s not scratch-proof, but definitely a lot harder to scratch than a polyurethane finish. So, the other advantage is you install it and you’re done. There’s no sanding, there’s no finishing, there’s no coats and cure time. 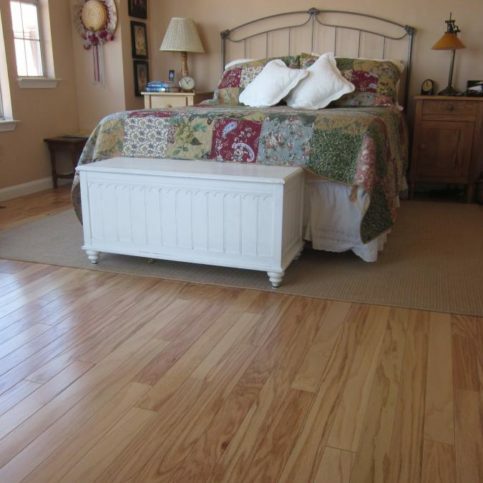 So, the installation’s faster and it’s generally less expensive to do a prefinished floor than a sand and finish floor. The last advantage is you don’t have any future maintenance. So, once it’s installed, you’re done. You’re not going to be sanding and finishing this floor. That’s why aluminum oxide is such an awesome finish is it doesn’t need any future work. It’s kind of a once and done. So, if you’re looking for low maintenance, low cost, you’d go with prefinished. So, with those on the scale, most of our clients, I’d say 9 out of 10, elect to go with prefinished floors because they want to get as much as they can for their budget and keep the workload in their house to a minimum. Floor Coverings International : Average 9.2 out of 10 based on 151 unique customer surveys of customer satisfaction. I wouldn't hesitate using them. They did a great job for us. They were very professional, hard working, and affordable. They were really hard workers, and they got the job done quickly. I thought they did a good job. There were no issues. Everything went really smoothly. They were just efficient. We didn't really have to stay on top of them. They were upfront, very honest, and straightforward about wait times, timelines, etc. I would recommend them. They do great work. The crew who came out did a great job and worked hard. They were courteous, knowledgeable, and quick. They delivered everything they said they would deliver. They did a really good job on the floor. They had told me during the quote that it was a flat rate and there would be no overages, no matter what. They were not the cheapest, but other companies said the quoted price would not be the final price. I would recommend people to use them. They did great work, have great people, and I would do business with them again. They were honest and friendly. They also did a great job. I would like to let others know that they are very professional, and they will follow through with what they say. They are not the cheapest, but the work they do is worth the cost. I would highly recommend them, as I have before. 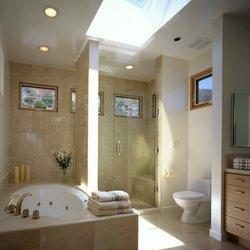 They have a professional team and put together a great end-product. The team was very forward with the process and very honest about each choice, pros and cons. I would say the installation team was really hardworking and did a great job. 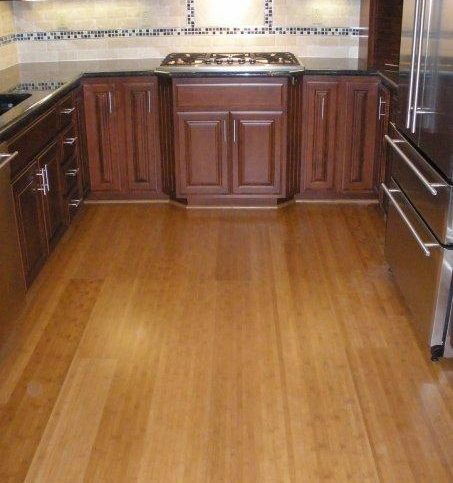 The quality of floor is absolutely perfect, high quality laminate. They matched the color perfectly. I was completely satisfied with their work. Everything was absolutely perfect. There were difficult areas in the hall and closets that they were able to work out. The work is perfect, and the floors are really high quality. I was nervous about their rate, which is higher than others, but it's worth it. I like the actual floor and how clean it looks. I have recommended them several times within the last year or so. We get compliments from guests all the time for the work that they did. Well, they did what they said, and the floor looks amazing. Everything was really straightforward with them. I don't know. I guess I would just recommend them. We had a good experience, a really smooth process. I thought it was all very seamless. We were very satisfied with the results, and it made us very happy. The quality of their work was outstanding, and they cleaned everything up after the installation. 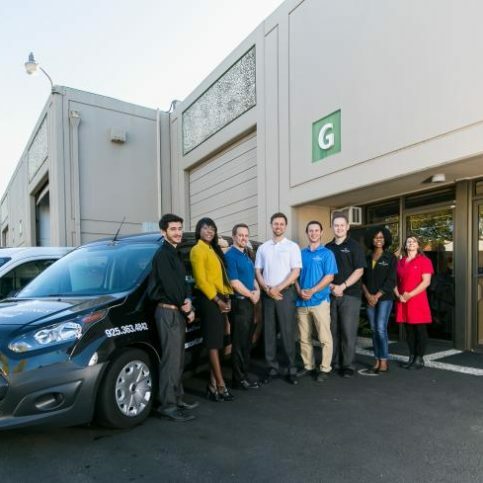 I was really impressed with the company and specifically the installer. It was definitely a job well done. The customer service was great, and they took the time to explain everything without being pushy. Excellent service, a good variety, and they were knowledge about the products.